SAN DIEGO (KGTV) - SAN DIEGO (KGTV) - It’s not easy to break into San Diego’s housing market, but what happens when you finally make that big purchase? Zillow and Thumbtack ranked San Diego third in the nation for the hidden costs of homeownership. The housing analysts broke down the expenses of maintaining a home in addition to a down payment and monthly mortgage payments. Unavoidable costs, including property taxes, insurance and utilities, were a factor, along with routine maintenance. In San Diego, the hidden costs amounted to $14,257 a year, with unavoidable expenses of $11,087 and maintenance at $3,170. The national average for the hidden costs of homeownership was $9,390. In San Jose, the figure reached $20,655. San Francisco was slightly lower at $17,758. Indianapolis was the cheapest city in the nation, with $8,220 going toward hidden costs. Smart Asset has a property tax calculator for homebuyers. 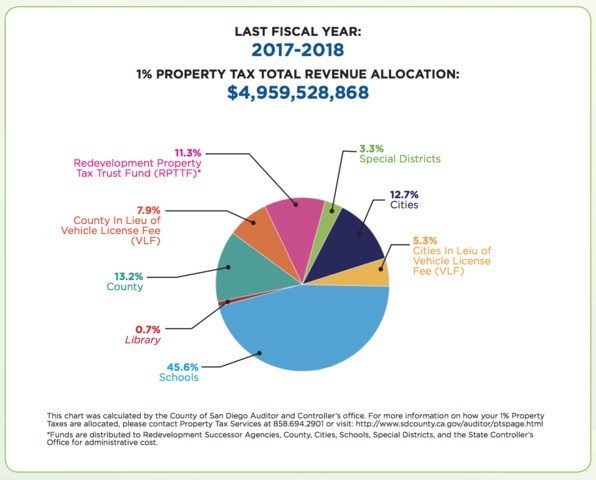 Wondering where your property taxes go? The County of San Diego has a breakdown .